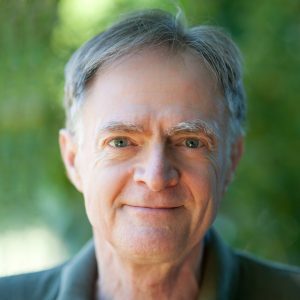 Richard Heinberg, Senior Fellow of the Post Carbon Institute, is regarded as one of the world’s foremost advocates for a shift away from our current reliance on fossil fuels. An author, educator, editor, and lecturer, he has spoken widely on energy and climate issues to audiences in 14 countries, addressing policy makers at many levels, from local city officials to members of the European Parliament. He has been quoted and interviewed countless times for print, television, and radio and has appeared in many film and television documentaries. Heinberg is the author of thirteen books including most recently Our Renewable Future: Laying the Path for One Hundred Percent Clean Energy (2016) co-authored with David Fridley, Afterburn: Society Beyond Fossil Fuels (2015), Snake Oil: How Fracking’s False Promise of Plenty Imperils Our Future (2013), and The End of Growth: Adapting to Our New Economic Reality (2011). He has authored hundreds of essays and articles that have appeared in such journals as Nature Journal, Reuters, Wall Street Journal, The American Prospect, Public Policy Research, Quarterly Review, and Yes! Magazine; and on websites such as Resilience.org, TheOilDrum.com, Alternet.org, ProjectCensored.com, and Counterpunch.com. Heinberg’s Museletter has provided a monthly exploration of current events and the world of ideas. Its essays present an inter-disciplinary study of history and culture. He was a recipient of the M. King Hubbert Award for Excellence in Energy Education in 2006 and in 2012 was appointed to His Majesty the King of Bhutan’s International Expert Working Group for the New Development Paradigm initiative. In 2013 he was the recipient of the annual Environmental Leadership Award from Ecology Law Quarterly. Richard Heinberg is also a violinist and illustrator. Contact Richard Heinberg about speaking terms and dates.